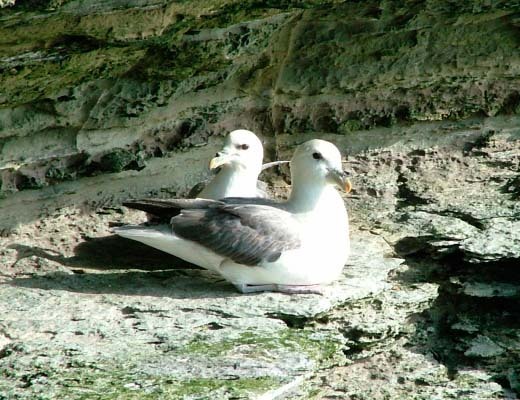 Join us for guided tours of the beautiful island of Westray, the “Queen of the Isles”. 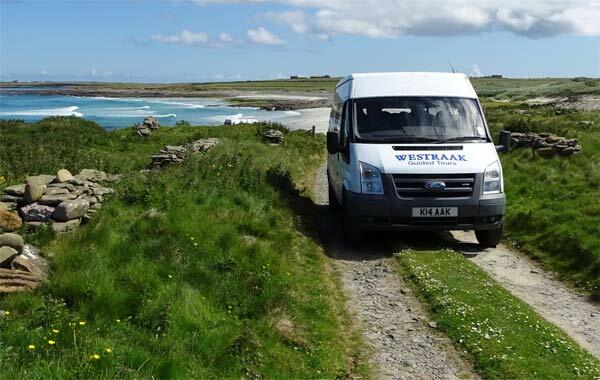 Westray is only a short hop by plane or a ferry journey from the Orkney Mainland. Explore this thriving island’s history, archaeology, nature and culture with a warm welcome from local guides Andy and Karen Penn. Our most popular tours are full day tours for up to eight guests, with morning coffee and lunch provided in our own family home. From mid April until the end of July we can also arrange Sunset Puffin Tours. 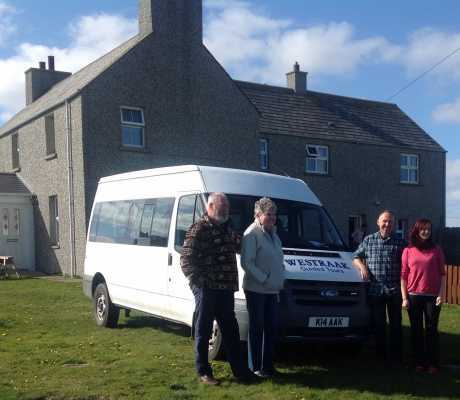 For day trippers, the tour begins and ends at the ferry terminal or the airport or, for those choosing to enjoy Westray for a bit longer, pick up can be arranged from their accommodation. Tours are relaxed and informal and we aim to tailor the pace and focus to the needs of the group. You can check availability and send booking enquiries online or alternatively contact us directly. We're proud to be able to offer Fair Trade products at Westraak and be part of the movement to make Westray a Fair Trade Island.